While we always like to share with you, our special offers on Runescape Gold. Today we are sharing with you some pretty cool news. A few short days ago on the official Runescape Forum. 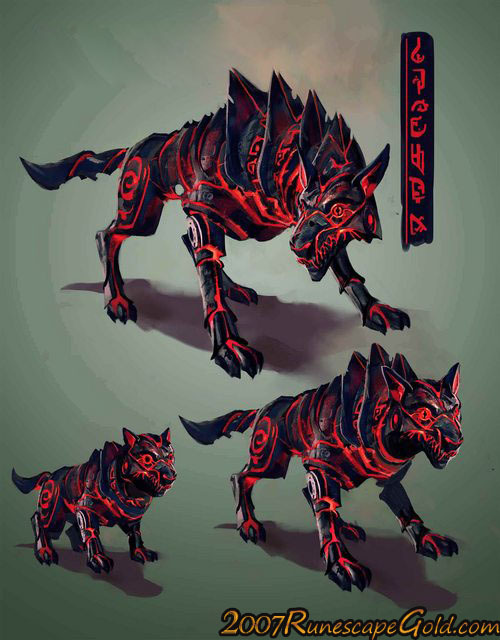 Jagex revealed that there was a new pet coming to Runescape, the Fire Lycan and this dog just looks flat out awesome! They have managed to make him look cute and also like he could destroy you in a second all at the same time. While the actual Fire Lycan is cool and all, the way you get this pet is very interesting. You see in order to get it, you need to purchase the magazine, PC Gamer, the September issue to be exact and it has to be the physical magazine so a digital one will not cut it. PC Gamer is one of the biggest PC Gaming magazines. It is based out of the UK so we are not sure how widespread it is, which is leading to a bit of controversy as some Runescape fans are asking how on earth they are going to be able to get this pet? To be fair it is a very valid question and one that some people are struggling to get an answer for. If you know someone in the UK or somewhere else where PC gamer is available, ask them to pick you up a copy and just message you the code. That will be the easiest way for you to get the Fire Lycan. We think that this is a really cool pet and think it is very interesting that Jagex would give away something like this with a magazine. Just remember it is the September issue and the magazine is only being sold until the end of September.